Website: The candidates must visit the official website to download their Admit Card. Step 1: Candidates are required to visit the official website. Step 2: Candidates are required to click on the ‘log in’ button available on the homepage in order to go to your admit card. Step 3: Now, the candidates have to login by entering their Email ID/User Name and Password which they filled at the time of the TNPSC 2019 Application Form submission. NOTE: If in case candidates do not remember the username or password, they have to click on forgot password in order to get a link to the email id so provided. Step 4: Once candidates get successfully logged in, they should click on “Generate Admit Card”. 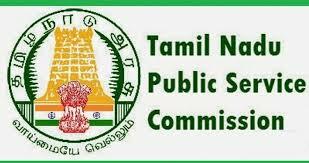 Candidates TNPSC 2019 Exam Admit card will be displayed on the screen. Step 5: Candidates have to download the TNPSC Admit Card, print it and should carry it to the TNPSC Exam Centre with ID Proof so that they do not face any kind of problem at the examination centre. Candidates are advised to check all the details on the Admit card is there is any spelling mistake. Candidates should carry TNPSC 2019 Exam Admit Card along with a valid Photo Identity Card on the day of examination. Candidates should carry the original admit card at the time of interview. In the day of the examination, candidates should carry the hard copy of the admit card. If any candidates failed to bring the admit card would not be allowed to enter the exam hall. Candidates must ensure that they reach the exam centre on or before time in order to appear for the exam. Any late comer will not be allowed to appear for the exam.